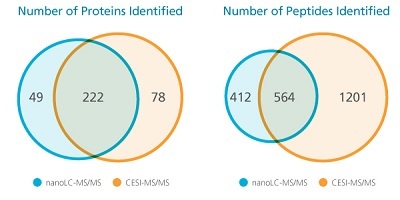 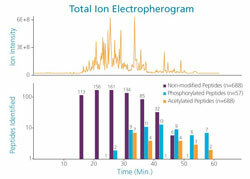 The CESI 8000 Plus High-Performance Separation - ESI Module significantly enhances the sensitivity of intact protein and peptide mixture analysis while simultaneously expanding the coverage to enable the detection and identification of more diverse molecular moieties. 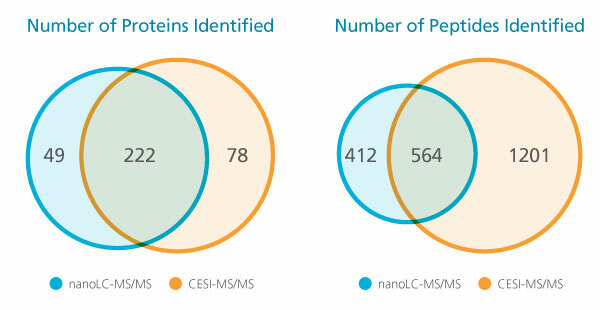 Highly polar and charged peptides are separated at high efficiency by the use of the CESI technology. 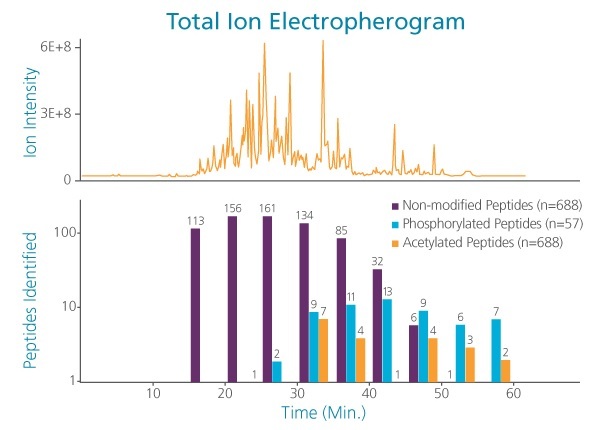 The ultra-low flow rate of CESI-MS reduces ion suppression while increasing ion efficiency to significantly improve sensitivity.